Why give a heart-shaped card to your favorite person when heart-shaped bacon can convey the same message and taste so much better? If heart-shaped candy and sweets are no longer your thing, you have a plethora of unique, heart-shaped DIY crafts to choose from. Make heart-shaped hand-warmers filled with dry rice or beans to keep your significant other's hands warm during cold winter days when you aren't there to hold them yourself. 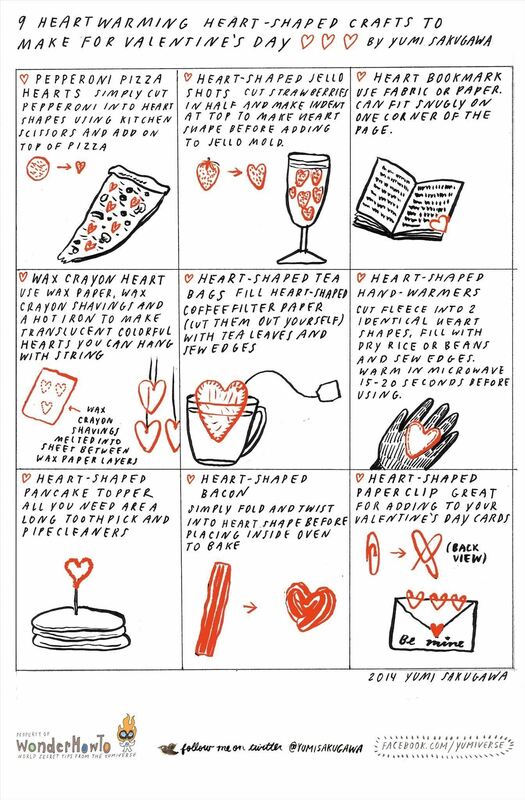 If that's too cheesy for you, you can also show some heart-shaped romantic love in the form of heart-shaped bookmarks, heart-shaped wax crayon hearts, heart-shaped tea bags, and more.